Not to be confused with Lefty Gomez. Robert Moses "Lefty" Grove (March 6, 1900 – May 22, 1975) was a professional baseball pitcher. After having success in the minor leagues during the early 1920s, Grove became a star in Major League Baseball with the American League's Philadelphia Athletics and Boston Red Sox, winning 300 games in his 17-year MLB career. He was elected to the National Baseball Hall of Fame in 1947. One of the greatest left-handed pitchers in major league history, Grove led the American League in wins in four separate seasons, in strikeouts seven years in a row, and had the league's lowest earned run average a record nine times. Over the course of the three years from 1929 to 1931 he twice won the pitcher's Triple Crown, leading the league in wins, strikeouts, and ERA, while amassing a 79-15 record as the ace for the Athletics' dynasty teams. Born in Lonaconing, Maryland to John Robert Grove, (1865–1957), and Emma Catherine Beeman, (1872–1959), Grove was a sandlot star in the Baltimore area during the 1910s. Grove didn't play organized baseball until he was 19 years old. In 1920, he made his professional debut with the Martinsburg Mountaineers of the class-D Blue Ridge League, where he appeared in six games. In 59 innings pitched, Grove gave up just 30 hits, and he had an earned run average (ERA) of 1.68. His performance attracted the attention of Jack Dunn, Sr. (1878–1928), the manager/owner of the minor league Baltimore Orioles, who also discovered George Herman ("Babe") Ruth (1895–1948). Grove joined the Baltimore Orioles in 1920, while they were playing a half-century in the minor leagues of first the old Eastern League (1903–1914) and then after 1916, in the reorganized International League of "Triple A" (AAA) ball. "Lefty" broke into the team's pitching rotation at midseason with a 12-2 record during their most famous winning championships sprint of 1919–1925, winning six straight titles. Over the next four seasons, he posted marks of 25-10, 18-8, 27-10 and 26-6, leading the International League in strikeouts each season. Grove remained in the minor leagues through 1924 because owner Jack Dunn, Sr. (1872–1928), refused several offers from the majors to acquire him. At the time, the Orioles were an independent operation with no major league affiliation and the International League had declared its players not subject to a major league draft. Since the reserve clause in all contracts was honored throughout organized baseball, this meant that Grove had no way to reach the majors until the Orioles became willing to trade or sell his contract. Finally, early in 1925, Dunn agreed to sell Grove's rights to Connie Mack (1862–1956), and his Philadelphia Athletics in the American League for $100,600, the highest amount ever paid for a player at the time. Grove battled injuries as a rookie and posted a 10-13 mark (which would prove his only losing record in 17 major league seasons), despite leading the league in strikeouts. Grove then settled down in 1926 and won the first of a record nine earned run average (ERA) titles with a mark of 2.51. In 1927, Grove won 20 games for the first time, and a year later he led the league in wins with 24. In 1928, Grove twice struck out the side on nine pitches. On August 23, he did it in the second inning of a 3-1 win over the Cleveland Indians to become the third American League pitcher and seventh pitcher in major league history to accomplish the feat. On September 27, he did it in the seventh inning of a 5-3 win over the Chicago White Sox, becoming the first pitcher in major league history to accomplish the feat twice in a career; since then, only Sandy Koufax, Randy Johnson and, Nolan Ryan, all Hall of Famers, have joined him. Grove, however, remains the only pitcher to do it twice in the same season. The sportswriter Arthur "Bugs" Baer wrote, "Lefty Grove could throw a lamb chop past a wolf." The Athletics won the pennant in three successive seasons (1929 to 1931), as well as consecutive World Series championships in 1929 and 1930. During the Athletics' championship run, Grove led the way as the league's top pitcher, posting records of 20-6, 28-5 and 31-4. In 1930, Grove led the league in wins, ERA (2.06), strikeouts (175), winning percentage, complete games, and shutouts. His 2.06 ERA was 2.32 runs below the league average. He was also chosen as league MVP in 1931, making him one of only a handful of pitchers to achieve this honor. His M.V.P. 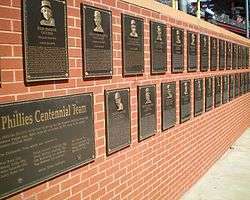 award is the only one not enshrined in the National Baseball Hall of Fame in Cooperstown, New York, instead being housed at the George's Creek Library of the Western Maryland Regional Library system in Lonaconing. The Athletics contended for the next two seasons, but finished second to the New York Yankees in 1932 and third behind the Washington Senators and Yankees in 1933. In 1933, Grove became the first player in Major League Baseball history to strike out five times in a nine-inning game. On December 12, 1933, team owner Connie Mack traded Grove, along with Max Bishop and Rube Walberg, to the Boston Red Sox for Bob Kline, Rabbit Warstler and $125,000. Grove was unable to contribute substantially during his first year in Boston, an arm injury holding him to an 8-8 record. In 1935, however, Grove returned to form with a 20-12 record and a league-leading 2.70 ERA. Grove won his eighth ERA title a year later, and also led the league in ERA and winning percentage in 1938. Grove continued to post outstanding records, including 14-4 in 1938 and 15-4 in 1939, as well as lead the AL in ERA 4 times between 1935 and 1939. In his last season, he won and lost 7 games, winning his 300th game on July 25 (giving up 6 runs on 12 hits, but winning 10-6), before losing his last three major league games, ending his career on September 28, pitching just one inning in the 2nd game of a doubleheader. Grove retired in 1941 with a career record of 300-141. His .680 lifetime winning percentage is eighth all-time; however, none of the seven men ahead of him won more than 236 games. His lifetime ERA of 3.06, when normalized to overall league ERA and adjusted for the parks in which Grove played during his career, is fourth all-time among pitchers with at least 1,000 innings pitched (behind Mariano Rivera, Jim Devlin, and Pedro Martínez) at 48 percent better than average. Grove was elected to the National Baseball Hall of Fame in 1947. He died in Norwalk, Ohio and was interred in the Frostburg Memorial Cemetery in Frostburg, Maryland. In 1969 Grove was voted starting pitcher for the 100th anniversary team. In 1999, Grove was ranked number 23 on The Sporting News list of Baseball's Greatest Players. He ranked second, behind only Warren Spahn, among left-handed pitchers (third when Babe Ruth is counted as a pitcher as well as an outfielder) although Babe Ruth never pitched long enough to be considered. That same year, Grove was elected to the Major League Baseball All-Century Team.